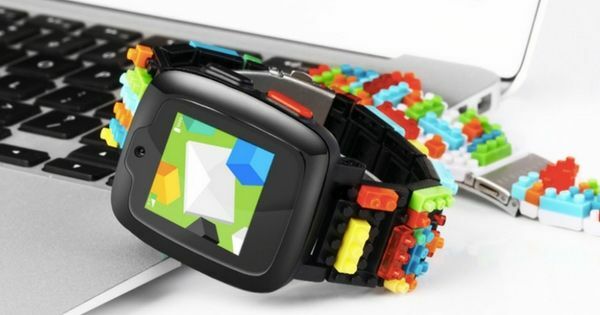 Global wearable and IoT solutions provider Omate on Tuesday announced a partnership with Tata Communications to equip its new “Omate x Nanoblock” smartwatch for kids with enhanced security features. The in-built Tata Communications’ “MOVE-IoT Connect” platform in the smartwatch will carry location, messaging and video-calling data over an end-to-end encrypted virtual private network (VPN), ensuring maximum security. “What sets the ‘Omate x Nanoblock’ apart from other smartwatches is the extra security layer provided by the global private network of Tata Communications MOVE-IoT Connect,” Laurent Le Pen, Founder and CEO, Omate, said in a statement. “It means that parents can keep track and be in touch with their kids in real-time but no data on the network can be intercepted by unscrupulous individuals,” he added. The API-enabled, automated “MOVE-IoT Connect” platform is fully integrated with Omate’s business processes, giving the company real-time visibility over customers’ data usage patterns and control over tariffs and billing. The software-defined capabilities of “MOVE-IoT Connect” also make it easy for Omate to customise features and content with children’s needs in mind. “Through our partnerships and the ubiquitous network of Tata Communications MOVE-IoT Connect, businesses are able to capture, move and manage information on a global scale, and give people the always-connected digital experiences they crave,” said Anthony Bartolo, Chief Product Officer, Tata Communications. The “Omate x Nanoblock”, the price of which is yet to be announced, will be available for pre-order in April on www.omate.com. It will start shipping in June in the US and in Europe in the first place. Omate has offices in the US, Japan, and China.